Rechargeable batteries are the most environmentally friendly products of all, due to their basic reusability. 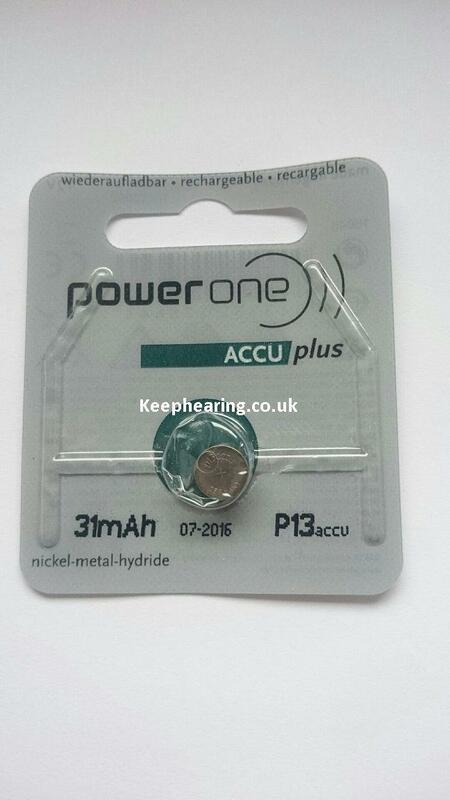 power one with its ACCU plus is the only manufacturer in the world to provide every size of hearing aid battery as a rechargeable battery. During its lifecycle each battery replaces up to 57 conventional primary batteries. Our rechargeable batteries do not contain either mercury or lead or cadmium. They are nickel-metal hydride batteries in a stainless steel housing. Their capacity remains constant even after frequent recharging with our chargers (no "memory effect"). Power one ACCU plus is voltage compatible with zinc air batteries. Not every hearing aid is suited to the use of rechargeable batteries - some hearing aids have too high an energy consumption. As a rule of thumb, if your hearing aid can supply current for more than 10 days without the zinc air battery needing to be changed, it is worth considering rechargeable batteries as an alternative power source.